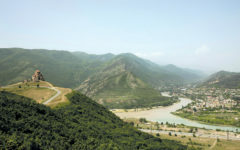 Hotel complex “Kvareli Eden” is located in Kvareli, on the right bank of the River Bursa, 153 km from Tbilisi. The hotel is only few kilometers away from the center of Kvareli where a lot of museums, churches and other sights can be found. The hotel offers high class rooms, restaurants, a con ference hall, bowling, a billiards room, a tennis court, and a unique wine spa. You can taste and enjoy traditional Georgian cuisine as well as Eu ropean dishes in the restaurant there. 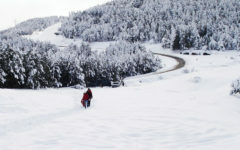 Holiday complex “Kvareli Eden” presents a high-level international standard hotel located near the town of Kvareli. The holiday complex is surrounded by oak-trees, vineyards and orchards, giving guests a unique opportunity to take time out from the noise of urban living and relax in a calm and cozy atmosphere served by friendly and skilled staff. There are 47 rooms in the hotel complex each with distinctive décor made up of warm bright colors and modern furniture and amenities. All rooms are equipped with a king size bed, bathroom, air conditioning, mini-bar, telephone, safe, internet access and satellite TV. Oversized windows fill the rooms with natural light. Situated in the middle of the vineyards, our hotel is able to provide guest coming suring the harvest period the chance to try their hand at grape-picking and crushing. The hotel has its own wine cellar where 6 kinds of wine are produced: Saperavi, Rkatsiteli, Cabernet, Kisi, Mtsvane and Tsinandali. “Kvareli Eden” guests can take part in a master class of harvesting, red and white wine-tasting, Churchkhela-making (Georgian Snickers), barbecuing, and Georgian bread-baking. 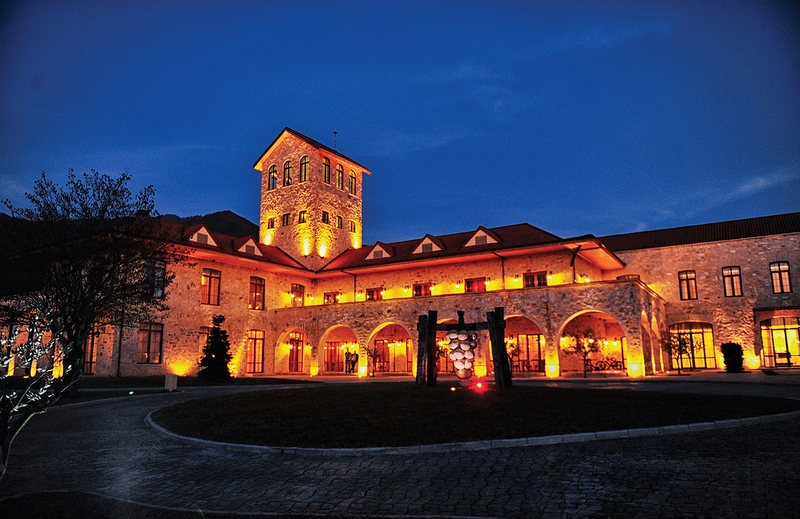 Holidays in Kakheti, especially in the “Kvareli Eden” have their own exceptional charm. Kvareli Eden guests can take part in a master-class of harvesting, red and white wine-tasting, Churchkhela-making, barbecuing and Georgian bread-baking. The hotel has its own wine cellar where 6 kinds of wine are produced: Sape ravi, Rkatsiteli, Caberne, Kisi, Mtsvane and Tsinandali. 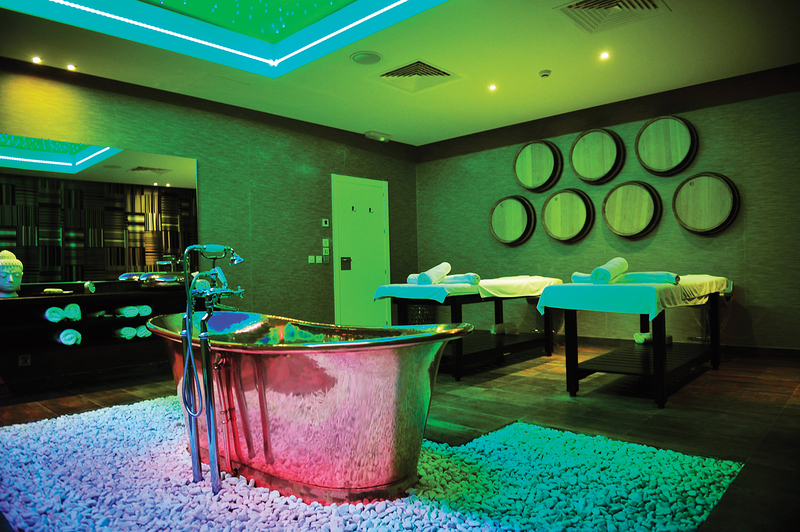 The main attraction making it different from other hotels is the Wine Spa, also known as the Eden of wine Therapy. It is unique not only for Georgia but in the whole Caucasus. The fact that the Spa center is located in a natural environment gave us the opportunity to create a special design for the whole complex, customizing it under a universal wine theme. Spa Kvareli Eden wanted to enliven the traditions of the wine culture not only in fragrance and taste, but by involving other senses as well. Therefore we created Wine Therapy, which makes it possible to embrace the traditions and history by means of healthiness, beauty and relaxation… Spa Kvareli Eden is built using the highest quality materials from Spain. The design is modern, matching worderfully the world of Georgian wine. We also offer completely unique Wine Therapy procedures made of natural vine, wines and rejuvenating cosmetics by Maddi Ayrza Cosmetic. 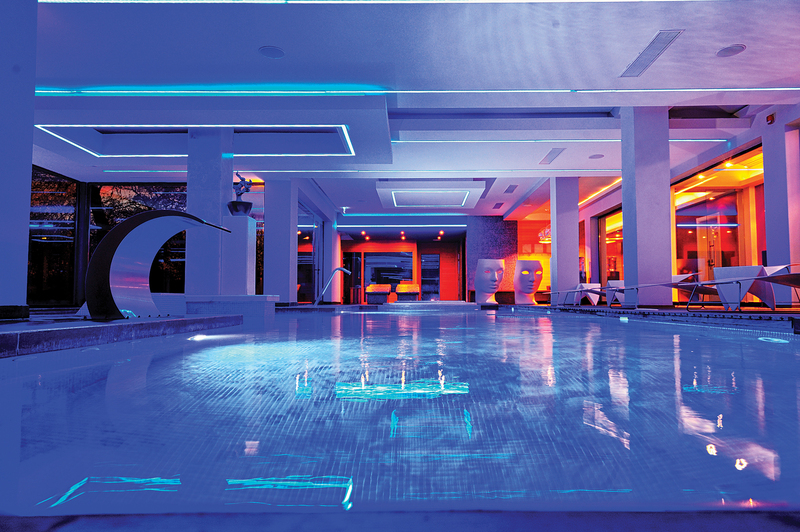 Today, Wine Therapy is waiting for you in the Wine Spa of Kvareli Eden near the city! our modern standards, quality procedures and professional staff offer a valuable Spanish experience in the ancient Georgian Region, the cradle of wine.